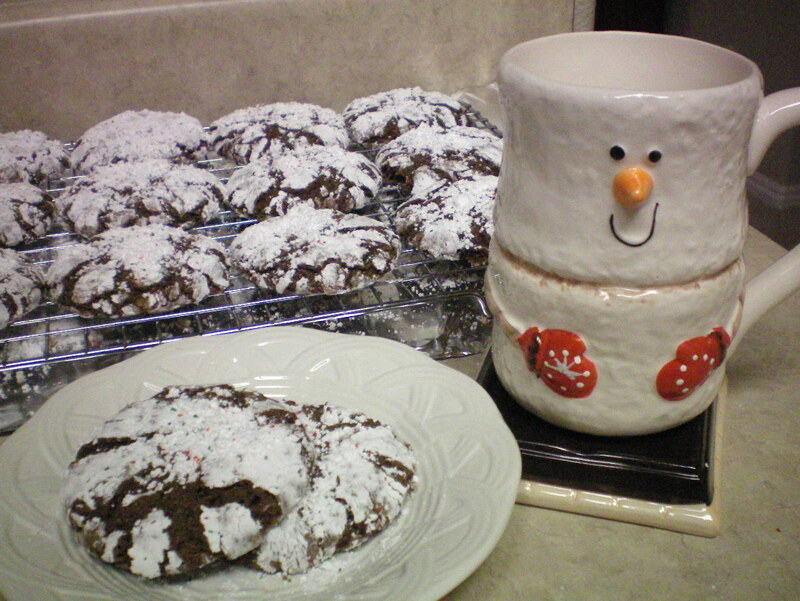 4 oz unsweetened baking chocolate, melted, cooled OR you can use 6 tbsp. of choc. cocoa powder. 3. 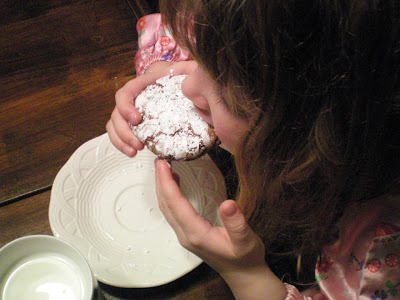 Drop dough by teaspoonfuls into powdered sugar; roll around to coat and shape into balls. Place about 2 inches apart on cookie sheets. 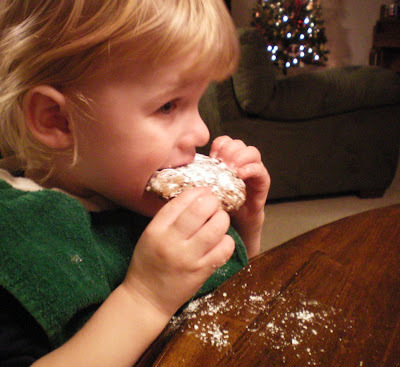 TIP: I add red and green sugar sprinkles to the powdered sugar, it makes it more festive for the holidays. 4. Bake 10 to 13 minutes or until almost no imprint remains when touched lightly in center. Immediately remove from cookie sheets to cooling racks. Oh my gosh, those look SO yummy. And so much like some that an old neighbor I had growing up used to bring us every Christmas. Now I have to try them and see if it’s the same recipe. They are one of my favorite childhood memories!! Thanks!! Yummy! My tummy is all a-flutter! I will admit that these are among my most favorite cookies…which says a lot because I have yet to meet a cookie I didn’t like. I can smell them from here…yummy! I have made these and they are sooo yummy! 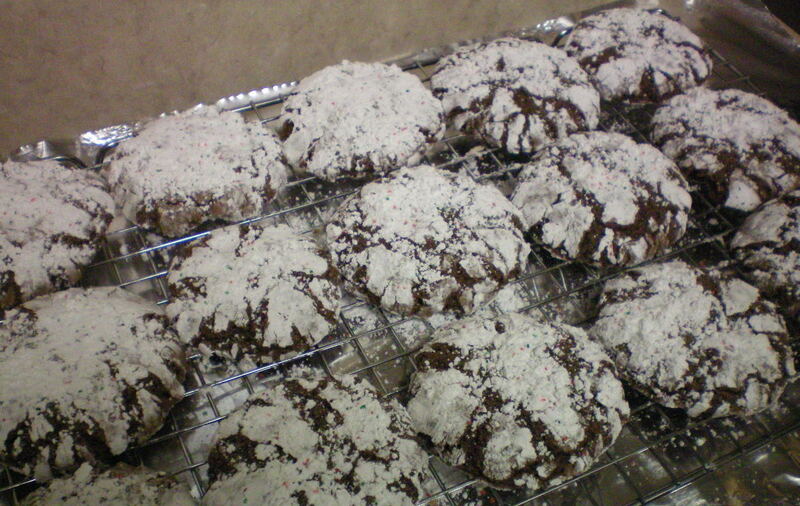 I experimented with various chocolate….dark, milk, but the semi sweet is best! Oh I love Crinkle cookies! I have been going through your blog and want to tell you that I am thrilled to run into ladies who put family and home first! My kids are all in college now but I will tell you this…I don’t regret one moment I spent at home with them! Time goes by way to fast and before you know it they are all gone… so good on you for being a stay at home mom! Now everyone asks me, “are ya going back to work?” I say are you kidding! I am retired now! Ha! Hugs and lots of warm wishes for a wonderful Holiday season with your precious family!